Case study of freelance graphic designer, art director, and designer Russell Shaw's branding work for retail store in Atlanta, Dixon Rye, including packaging, store signs, website design and collateral such as business cards and stationery. Dixon Rye is a store for interiors, wares, and design in Atlanta founded by Bradley Odom. A sophisticated retail brand in the city's Westside providing an intentional assortment of heritage-quality home goods – a place to "buy better, fewer things." This project was a dream because Bradley invited me to work on this branding from a truly holistic standpoint. Together with the Dixon Rye team, we collaborated on naming, strategy, messaging, and the overall experience of store signage and retail packaging. And, of course, we also defined a stunning and fitting visual identity system for this new brand. The logotype is a custom demi-serif typeface, uniquely mixing sans- and slab-serifs. The mix of old and new echoes the raw and refined aesthetic with playfulness while remaining decidedly modern. Dixon's Rye rich navy insists a brand that is trustworthy – and is complemented by gold, brass, and silver in various applications. The brand takes inspiration from Southern literaries, especially the figure Atticus in Harper Lee's To Kill A Mockingbird, and this is seen in a vintage, etched feather that becomes a brand icon. The feather is also integrated into a custom floral pattern adorning packing tissue and business cards. Letterpress stationery: Neenah Classic Crest Avon Brilliant White. 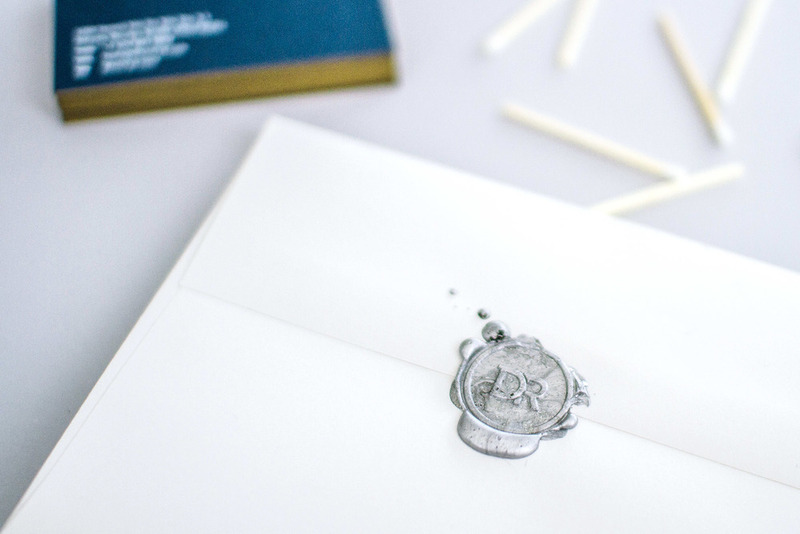 Envelopes: Classic Crest Antique Gray. Print Magazine's Regional Design Annual, December 2016. The South. GDUSA‘s 2016 American Package Design Awards Annual (GDUSA).